I remember getting an iPhone 4S in 2011 which Apple introduced with the beta version of Siri, a personal virtual assistant technology it had acquired in 2010. 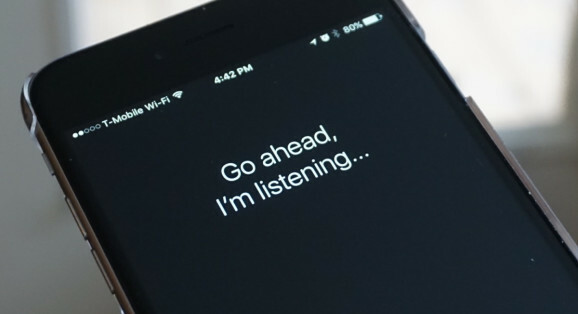 Voice recognition technology had been around for a long time, but Siri was the first broad-domain, conversational spoken-language mobile app assistant deployed at scale. I grilled Siri pretty hard with questions like, “Who is the President of the Ecuador? What is the square root of 148?”, and so on. With more playful questions like ‘Why did the chicken cross the road?”, I would get answers back like “Whether the chicken crossed the road or the road crossed the chicken depends on your frame of reference, according to Einstein.” I concluded that Siri was pretty smart and also a bit sassy. But, after a few weeks of use, I found that the novelty began to wear off and my frustration began to grow when she wasn’t able to understand some fairly basic things that I asked of her. I got tired of repeating myself and soon fell into a pattern of on non-use that lasted for several years. As subsequent releases of Siri improved, I began using her more for things like directions, calling friends and family, and dictating texts and emails. However, it wasn’t until this year’s Consumer Electronics Show that I really began to realize how big voice-activated virtual personal assistant technology is going to be and how transformative it could be for the retail industry and for those of us who design and manufacture POP displays. In retrospect, my hasty break-up with Siri was premature and perhaps a bit unfair to her. Using the beta version of Siri was a little bit like using the Internet back in the days of dial-up. On the one hand, you knew the technology was amazing, but on the other hand it was easy to grow frustrated with the wait times and connectivity disruptions. In truth, I don’t think I fully appreciated how difficult it is to achieve flawless execution of a voice-based artificial intelligence technology like a personal virtual assistant. Adam Cheyer, one of Siri’s co-founders, claims that the most difficult challenge with Siri was dealing with the massive amount of ambiguity contained in human language. Despite its unfathomable complexity, Steve Jobs saw in Siri something magical, a technology that could revolutionize and integrate every aspect of people’s lives. With more than 100 million Siri users and 39 million Americans who own a smart speaker, the race to dominate the voice assistant market is on. Microsoft’s Cortana, Amazon’s Alexa, and Google’s Assistant are all competing for a piece of the market and spending massive amounts of money on development of next-generation products. 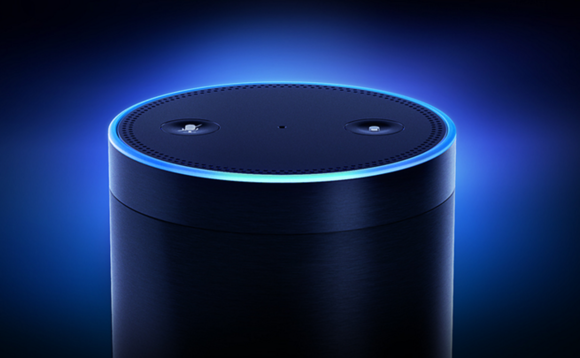 Amazon’s Alexa-enabled Echo and Echo Dot smart speakers are capable of voice interaction, music playback, making to-do lists, setting alarms, streaming podcasts, playing audiobooks, controlling a variety of smart home functions, and providing real-time information like weather, traffic, sports, and news. Amazon just released a number of enhanced products such as the Echo Spot which includes an embedded camera. Similarly, Google is leveraging its artificial intelligence expertise in an effort to make voice-based personal assistants an integral part of our lives. Ok, so here’s where the 3-minute video comes in. Watching this video will give you a glimpse of where Google is going with this technology and why all of us should be paying careful attention to this exploding market. After you watch the video, we’ll conclude today’s post by highlighting some ways in which voice-based artificial intelligence can have a transformative impact on the retail and POP display industries. So as voice-based artificial intelligence continues to develop, think about how profound its impact could be on the retail industry and how it might completely change the shopping experience to the point that it has the potential to erase a number of advantages that people find in shopping online. 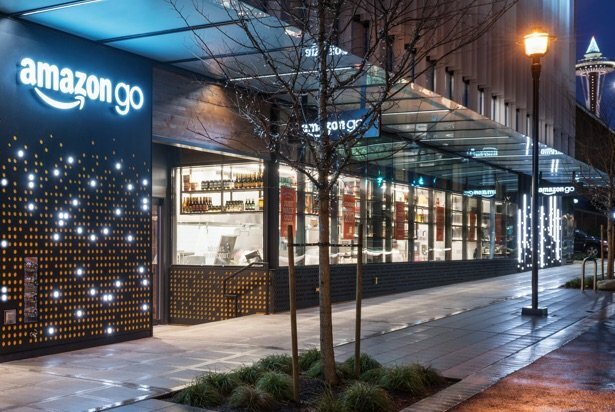 Amazon is in the early stages of rolling out its Amazon Go stores which leverage advanced shopping technology to solve the payment issue, eliminate lines and checkout, and making shopping more convenient. If you haven’t seen the Amazon Go video, it’s definitely worth checking out. Even in its early stages, Siri supported financial transactions such as enabling users to buy movie tickets, make hotel reservations, purchase concert or sporting event tickets, etc. 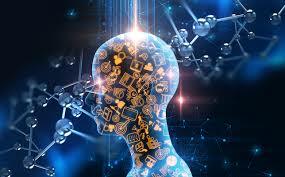 But, voice-based artificial intelligence has the potential to go much further. Imagine strolling through a mall with your mobile virtual personal assistant telling you where to shop for a new dress based on considerations that include your current wardrobe and dress preferences, historical color choices, your dress size, your budget, store proximity, advertised sales, and available shopping time based on your next appointment. When you enter a store, your virtual personal assistant identifies exactly where to go in the store and what choices are available to you, making the process as efficient, cost-effective, and convenient as possible. In addition to mobile personal assistants guiding our future shopping experience, voice-based artificial intelligence will be embedded in POP displays and through the retail store environment. Imagine having a personal virtual assistant in any category within a store helping to answer all your questions and guide your purchase decisions. These virtual assistants will have product knowledge that is so superior to what a typical store clerk might know that the experience will be night and day. Brands will also incorporate “Virtual Brand Assistants” into their POP displays that are capable of answering almost any question a shopper has about a product. Where is the product made? Why is this product better than alternative products? Is it available in other colors? What is the warranty? The shopping experience with mobile and embedded personal assistants will make shopping more interesting, more fun, and more efficient. It holds the promise of leveling the playing field with online shopping, particularly if you can hop in a self-driving car to get the store. The technology will get better and better. Siri co-founder Adam Cheyer’s view is that the mobile experience will become much more contextual, with better integration to the computing near your physical location (e.g., GPS will help your mobile assistant determine which Boston you are talking about). In addition, it will become much more personalized, with the experience tailored to your history and preferences. In fact, futurists predict that voice-controlled software will take us from understanding how to use technology to technology that understands us. Finally, virtual personal assistants will become more intelligent as computers acquire more of the “common sense” that people have, while also becoming more capable of a much wider range of actions and transactions.